If you are an experienced kayaker, we have a selection of quality sea kayak rental equipment. Dartmouth is a busy and tidal estuary; therefore before you can rent our kayaks you need to have done one of our 2-day skills courses or have a British Canoeing 2 star award or equivalent qualification. Please click here to see details of the British Canoeing 2 star award. We do not provide a safety or rescue service and paddlers renting our kayaks do so at their own risk. 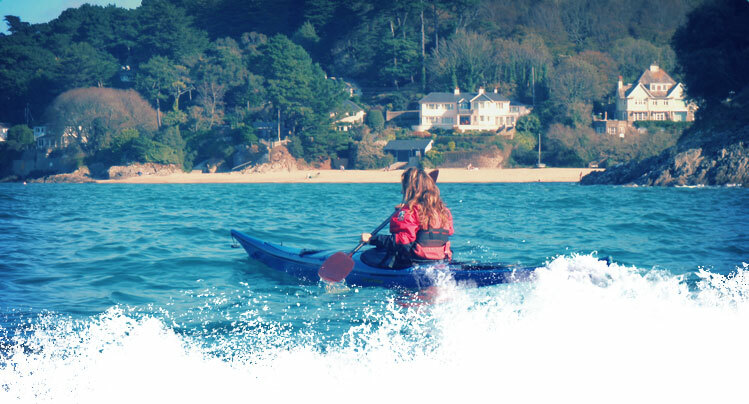 You must have the experience to kayak safely without any assistance from Sea Kayak Devon. You are welcome to take the kayaks to any location you think is safe to visit and we can also provide inflatable roof racks that fit most cars and vans. We securely store your credit card details as a deposit. The replacement cost of any equipment that is lost or damaged, other than normal wear and tear, will be debited from the card that you have provided as deposit. A list of the replacement cost of the equipment is below.